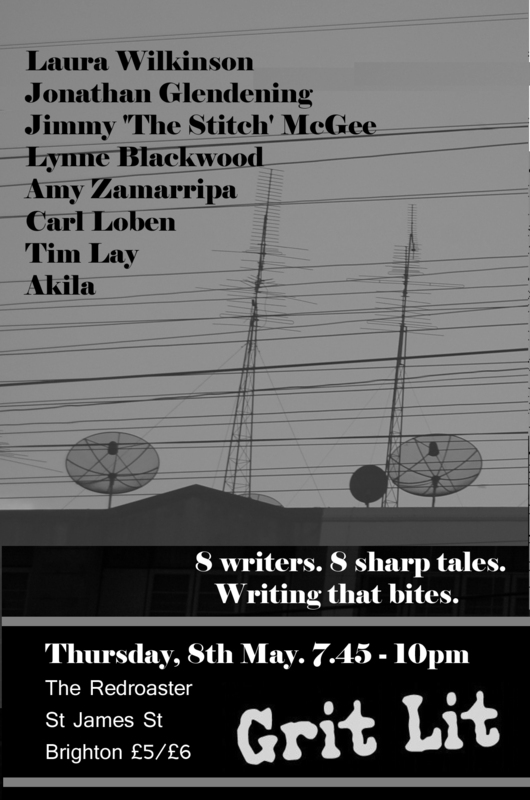 We’re super excited for our next Grit Lit on 8 May, which is also our 6th birthday. Once again we have a stellar line up – including Carl Loben, an Editor over at DJ Mag, who’s going to talk to us about his reporting at Castlemorton rave in 1991, the party that kicked off the Criminal Justice Bill. We are equally delighted to host some of Brighton’s finest writers and poets – including Jimmy ‘The Stitch’ McGee, who is literally famous from Hammer & Tongue nights, the awesome Laura Wilkinson who will be reading from her latest novel, filmmaker and author Jonathan Glendening. From further afield, we have the talented Portsmouth-based author Lynne E Blackwood, who will be reading a chilling story from her repertoire. Not to be missed!